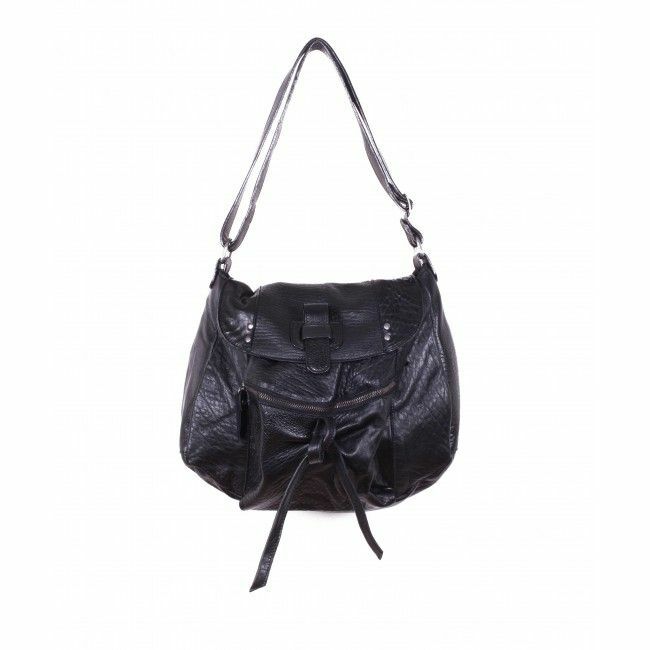 The Cross Body bag ,the distinction of having an adjustable handle, which allows it to be worn on the shoulder as well as through. The June model is a beautiful soft leather sheepskin bag. It has a raised pocket on its front and a removable shoulder strap. The June has a clip closure, as well as a zipped inner pocket. Its ideal middle shape, and especially its asymmetrical shape, gives it a very original look. Ideal for hand or shoulder, it can follow you throughout the day. Model Amber is a beautiful leather handbag like "Shiny". It has a detachable shoulder strap and a large zipped opening. You will also find an open pocket on each side of the bag adorned with a triple zip for a rock look. Isa Edition model is part of the 6 models of the "Daytona" collection. Limited edition, this range of bags offers a contemporary look and rock trend with its gorgeous quilted leather. Bigger than Eve Edition, Isa Edition model features an interior zip pocket but also a very practical thanks to its opening two legs on magnetic flaps. The model Eve is a great evening bag. Rigid box shape, it has a beautiful shiny leather and a removable shoulder strap. In addition, before his wand made of suede leather Sequin, gives it an ultra Girly look. The Jodie model is a beautiful sheep leather wallet, which is becoming a real classic of the brand. It has a removable shoulder strap, but also a very large central zipped opening. Very practical, it has a very large front pressure pocket, easy to access. Simple and effective simply.